Also, included some special versions of the base-game corner islands, apparently identical to the original ones, but used when OFB is installed but not NL. This way, we are 100% sure that any counter from any game up to SSN can host diagonal objects. 20 OCT 2006 - SEP v.1.0 tested and working Glamour Life Stuff. 18 APR 2006 - SEP v.1.0 tested and working Family Fun Stuff. OMG,you Rock Numenor thanks so much for this! I'll be cautious and see what others say, but if this works it will be amazing. Thank you! #7 28th Mar 2006 at 11:01 PM Last edited by HolyShot : 28th Mar 2006 at 11:09 PM. Another great download from numenor, anyway question, if I have downloaded the "Marylou numenor counter" thingy do I already have this? Edit, nvm I looked in my dl folder, thanks man. Thanks, this is what I need. I only put plants flower, etc. on the corners this will work wonderful for the coffemakers. Thank you so much! I have wanted something like this for FOREVER! Thank you thank you thank you! I'll be the one to protect you from your enemies and all your demons. I'll be the one to protect you from a will to survive and a voice of reason. This is cool! Thanks Numenor. I will test it out tonight. The SEP is to be considered complementary to the MaryLou-Numenor kitchen set: this mod affects the MAXIS counters, while that kitchen set is composed by custom counters (separately slot-enabled). Interesting "experiments" you do - for small houses this will be the survive! Thanx a lot for making this complicated modding. Thanx a lot! I will test it. :jaw: WHY hasn't Maxis hired you yet?! Thanks a million, this is fantastic! Heh. That's a bit of an understatement! It seems like Numenor's been involved with every major improvement thats happened with this game outside of the SimPE project. Your the greatest!!!!!!!! Thanks for sharing your greatness with us!!!! I have been wanting this since the game came out. The useless corner counter was driving me crazy. It seemed like such a waste of space before. Thank you for this! I wonder this every day!! Everything you make is amazing, thanks a lot! This is the best. 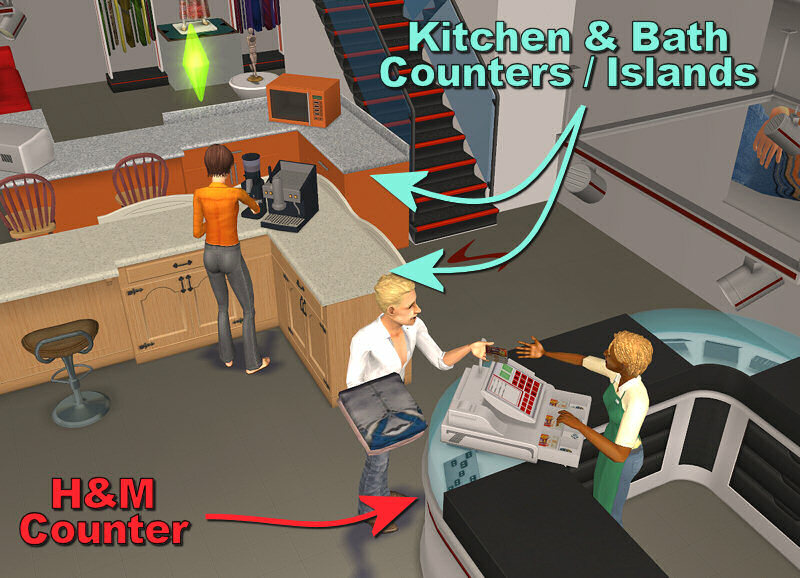 It always bugged the heck out of me that sims couldnt use anything placed in a corner of the kitchen counter. Thank you for getting rid of this insensible Maxis rule!!!! It seems that the corner that is accessible is on the "inside" of the angle. Does this mean a sim has to be on the inside to pick up an item there, or can the sim be on the outside? 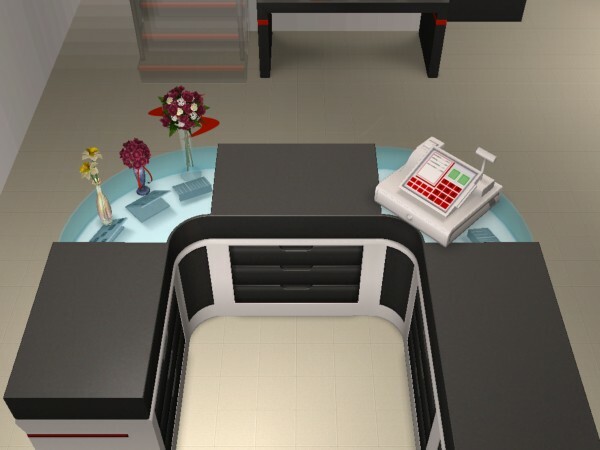 For example in the pics there is a sim at a cash register on the inside with a customer sim on the outside -- would the customer sim be able to interact with objects from that position? In any case, I echo all previous posts -- you are the coolest, why aren't you working for Maxis, etc. Many thanks! Amazing, apply for a job at Maxis. Seriously.